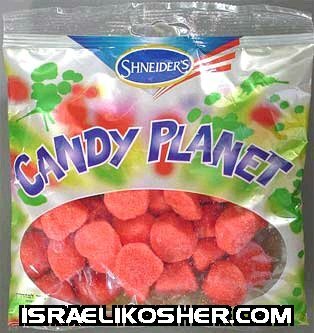 schneider's candy planet strawberry gummy candy. these kosher l'mehadrin candies are specially made with pure kosher fish gelatin and contain no other animal derivatives. net weight 5.29 oz.